Solder- What is it? What does it mean?? You’ve probably heard references to soldering (especially if you read my blog often), but do you know exactly what it is, and how it is done? 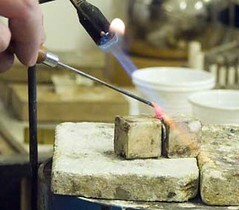 Soldering is used to join two pieces of metal together, without damaging or melting either one. This is especially useful for attaching wire together to make an electrical connection, as it will not disturb the electrical current, or for fabricating jewelry, because utmost precision is very important. For large-scale steel projects though, soldering is not strong enough, and welding is the preferred option. The solder itself is always a metal alloy that will melt at a lower temperature than the metals being soldered. The basic principle for most forms of soldering is a little snippet or short section of solder wire is placed on the joint, and heated. Once the solder reaches its melting temperature, it melts and forms into a little droplet. Once heated slightly past this point, the solder reaches its flow temperature, where it is so hot that it flows out at makes a shallow alloy with all the immediate metal surfaces. Thus, the two metals are joined yet without being melted or damaged. Later, the solder can be removed by heating to liquid temperature, then being sucked out with a “solder sucker” if need be. This entry was posted in Uncategorized on July 23, 2013 by Captain Belaq. 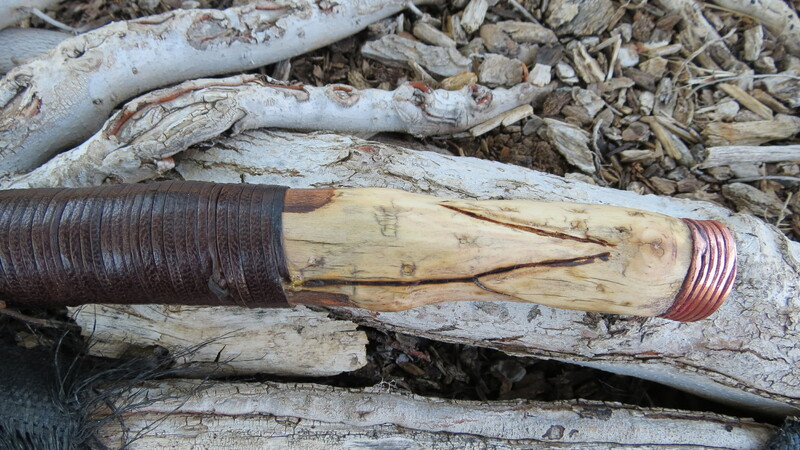 This is my first KITH project, and this year’s theme was Spear or Hawk (tomahawk). For those of you who do not know what the KITH is, it is an event from a bladesmith’s forum (http://forums.dfoggknives.com) called Knife In The Hat (thus KITH). It’s sorta like a secret santa thing, where everyone makes their blade (in this case, and spear or tomahawk) and signs up for the KITH. At the end of the deadline (September), everyone draws a random name from the “hat”, and sends their blade to that person. This is mainly so people can get their blades critiqued, I.e., so they can be given tips, advice, and techniques on how to make their future blades better, judging on the KITH blade. So, really it’s awesome for me; practically all the other people entering are experts, and whatever I receive is gonna be awesome. About a month ago one person said he couldn’t do it this year; he didn’t have enough time! The spearhead is forged from 5160 spring steel, into the shape of the spearhead, and finished by grinding on an angle grinder which I clamped in a vise. I then hardened it by heating up to critical temperature (the point of heat where a magnet will no longer stick) and quenching it in motor oil. To temper it (soften it a bit so the blade does not crack under stress), I borrowed my neighbor’s sun oven, which got about 400 degrees or so. I heated it up to 400, let it air cool, re-heated to 375, let air cool, then heated to about 350, and let it air cool. 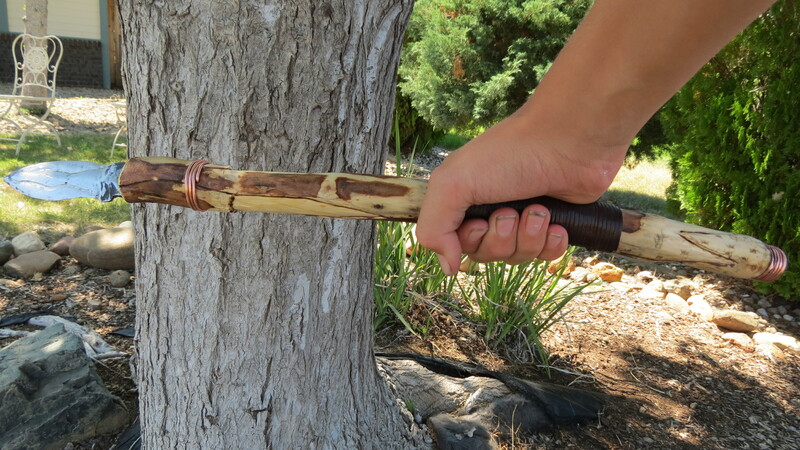 After making a snug cavity in the maple handle for the blade’s stick tang, I drilled a hole through both the wood and tang and held it in place with copper wire, which I wrapped around the handle several times for decoration, and then sanded down the blade to about 220 grit (I’ll sand it down more later). 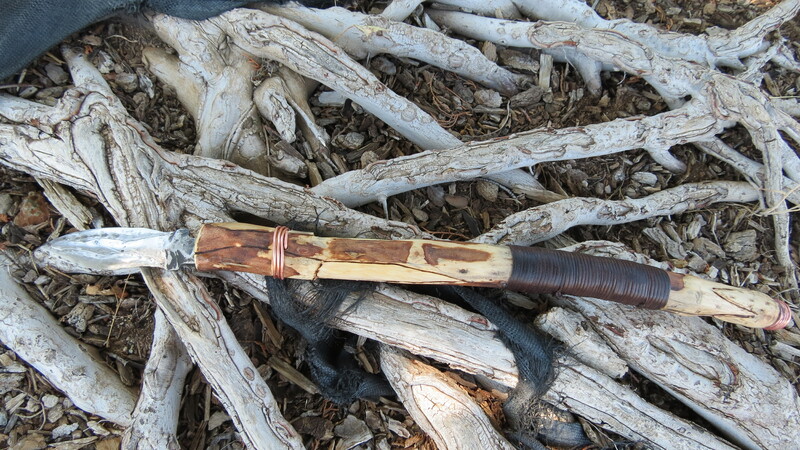 I then did chisel work on the wood, into which I rubbed Jojoba oil to give it an aged look. 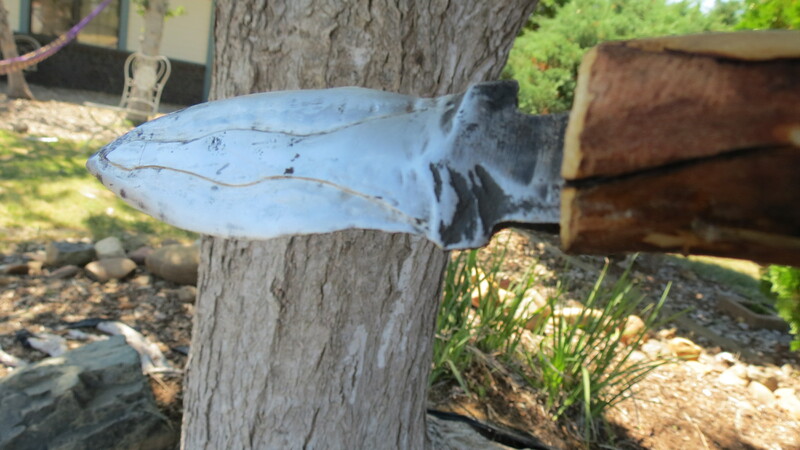 I then soaked leather cord in water (which expands the leather) and wrapped it tightly around the wood, starting and finishing by threading through a hole, and held in place with epoxy. When the leather dried, it shrunk slightly, tightening over the wood. I technically haven’t finished yet; I will sand down the wood, and finish polishing the head soon. This has been a lot of fun and given me a lot of experience, so I do think I’ve already walked away with something to my benefit! This entry was posted in Uncategorized on July 22, 2013 by Captain Belaq. Mokume Gane means Burl Metal in Japanese. 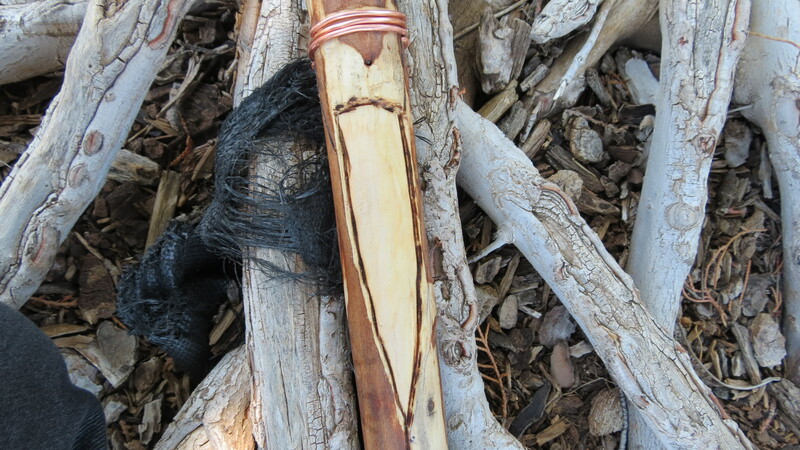 This is so called because the pattern looks like the burl, or patterns, in wood. Mokume Gane is very similar to pattern-welded steel, except for the fact that Mokume is used only for decorative works, not steel blades. Mokume Gane is created with several plates of metal, two different metals. For example, it could be silver and gold, or silver and copper, etc. Normally containing silver. The plates are stacked up on top of each other, and forge welded (i.e., heated up and hammered until they are fused together), so that it turns out like this. The billet, or ingot is then twisted, folded and formed in complex ways, and then is hammered back into the shape of a flat plate. 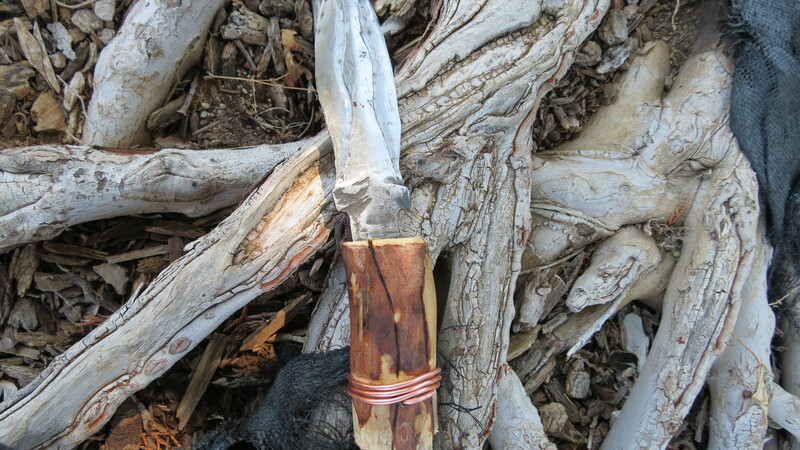 The folding and twisting creates complex patterns in the metal, and when the metal is made into a ring, pendant, sword hilt or whatever the Mokume is to be made into, sanded and polished, the complex patterns show out, and give the pattern of wood with the strength and polish of metal. The two metals (rarely three) must always be able to show up against each other, as with say Silver and Nickel one would have to look very close to see the separate layers. 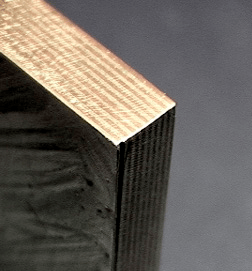 Silver and Brass, Gold and Platinum, Nickel and Copper are common sets used in Mokume Gane. I myself have been experimenting with Mokume Gane, and am currently (don’t look Mom) working on a Silver and Copper Mokume Gane ring for my mother, who’s birthday is coming up very soon. This entry was posted in Uncategorized on July 19, 2013 by Captain Belaq. 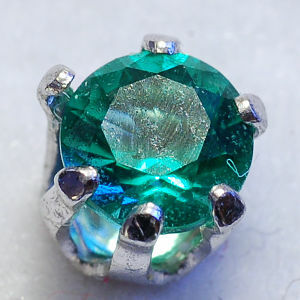 A basket setting is a very common gemstone setting used in jewelry. It consists of the stone sitting above one or two wire rings held in place with anywhere from two to eight prongs. This is how such a setting is made. This is going to be a four-prong setting. First, a small ring made of wire, just slightly smaller than the stone, is measured and soldered into a solid ring. Another ring, slightly smaller than the first, is also cut, formed, and soldered. In each ring four round depressions are filed in, equally spaced apart. Then, a piece of straight wire is bent in the center, and the ends are folded up to perfectly fit two of the depressions in the smaller ring, so it looks like this: <0 with the ends reaching far up over the ring. Another strip of wire is bent in half, and matched up with the other two depressions in the small ring. The wire sections are only being held to the ring by friction, so they are then soldered in place. The larger ring is then pushed down into place between the four prongs, and soldered into place. The loops in the back are clipped and sanded off, and a rotary tool (such as a dremel) cuts a seat for the gemstone in the wire prongs. The stone is then inserted into its seat and the tips of the prongs are bent over it. The whole thing is then soldered (if the stone is durable enough, otherwise the whole thing is soldered before the stone is set permanently in place) to a ring, earring, bracelet, pendant, or whatever it is supposed to be set in. It is then sanded and polished, and there you have it, a simple, yet strong, stone setting. This entry was posted in Uncategorized on July 11, 2013 by Captain Belaq. Before I begin, let me just tell you that designing and creating a pendant for men is hard. REALLY hard. Rings all you have to do is give it a thicker design, and a man can wear it. Pendants… you can’t do that. However, I do believe I got pretty close!! 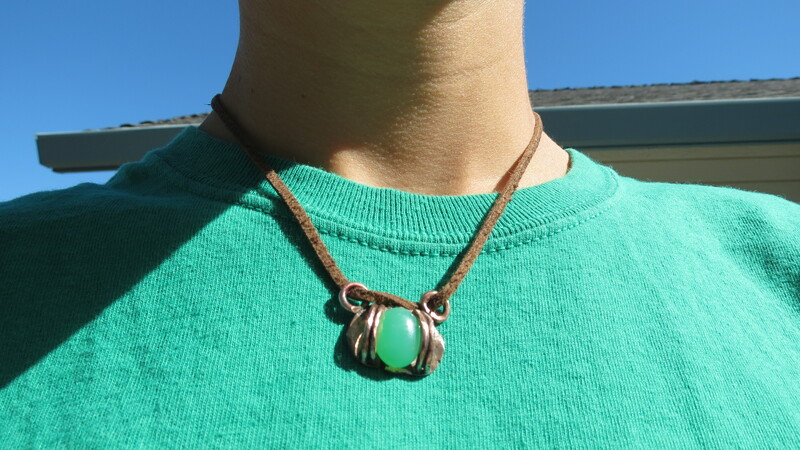 The pendant is made from copper wire, Chrysoprase, and leather. I designed this beforehand, with several considerations in mind. I designed this for myself, by the way. I wanted something designed along a horizontal, not vertical, axis, as my face and body are fairly thin and built along a vertical axis. Leather cord enhances manliness, and having the necklace very short gives the appearance of thickening and “muscling” the neck. 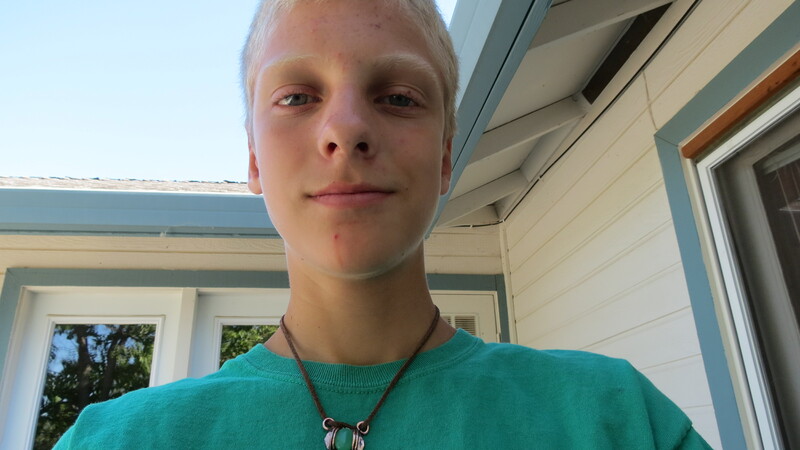 I chose the stone chrysoprase, as it is bright and joyful, “extraverted” which reflects my personality. The swirly design also gives the appearance of ideas and swirling creativity, which is also part of my personality. Copper in general gives a rustic, masculine, look to it. I started by melting scrap bits of copper wire into a big blob, then cold-forged it into a thick plate. I then annealed a four short sections of copper wire, and bent them over the braced stone (which I recycled from an old piece of jewelry) to form it. Two large pieces of wire, two small. I then soldered together, side-by-side, big wire section and small wire section. I did this with the other sections as well, so I had two “strips” that would hold the stone in place. I then soldered one strip onto the base plate (the blob I had forged out earlier), and put the stone underneath it, in the position it would be held later on. I then marked out the position the second strip would be. I removed the stone, and soldered in place the second strip, sort of resembling shoulder straps. Then I made two small rings, which I soldered onto either end of the piece. This is what the leather strap is looped through later. Finally, I set the stone. Sanding away a bit of one strip, I forced the stone in between the two, and pressed both shoulder strips over top to secure the stone in. I then sanded and polished the pendant, leaving some areas rough for a rustic look. For the “chain”, I looped a leather cord through both rings, and secured them at the back of the neck with a “loop-and-bead” clasp. This entry was posted in Uncategorized on July 10, 2013 by Captain Belaq.